It's obvious the importance the sun plays in everyday life. It is the origin of energy for everything that happens on earth. Most of this energy comes to the earth in the form of light energy. Ever since the beginning of time, man and animal alike has marveled and wondered at the big bright ball in the sky. If you are still reading this blog post, it might be time to put on your sunglasses because this is going to get bright. As a young kid, I was afraid of the dark. Adults around me told that I have what psychologists call an active imagination and that made it all the worse. I also lived in a neighborhood with only one streetlight that happened to be right in front of my neighbor's house. Although I think he works for the Russian Mafia, he too was afraid of the dark and actually paid for his own streetlight. Now that I am emotionally exposed and you all know my secret, I can get to the real crux of the story. Growing up I always had a curfew of being home by the time the streetlight came on. This was great as a kid because when the streetlight came on was some time around dusk and I never had to worry about the boogeyman that came out after the sun went down and it got really dark. However, in college, I realized that spending long nights in the library meant I would be biking home in the dark and that meant one thing. I needed a bike light. And not only a light but a light that would overcome my overactive imagination. Since then, I have always made sure that I have a good bike light. Here are the things that you need to know when looking into a bike light. 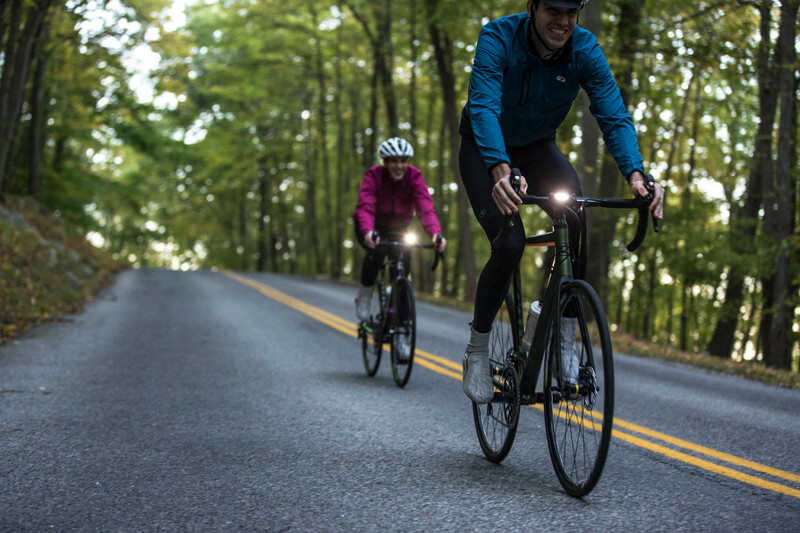 3 Things to Consider– The following are the most common considerations when buying a bike light. When beginning the search for the right bike light, every cyclist must consider 2 things; is this light going to help me see and; is this light going to help others* (cars, runners/walkers, horses, coyotes, sharks, and semi-trucks) see me on the road/path/trail where I will be riding. Early on in my night time commuting career, I was using a small light that provided minimal light. I thought it helped people see me and provided me with just enough light to avoid the major potholes along the route home. After being sideswiped, run off the road, and involved in a minor scuffle, I decided to get serious about my lighting needs. Many lights are marketed with the lumens displayed in big numbers on the front of the packaging, Lumens are what PSI is to tire pressure and what calories are to GU Gel, it's simply a measure of how bright that light is. However, simply because it is bright does not mean it is incredibly useful. The other part of the equation to consider is the throw of the light or in other words, how concentrated those lumens are. The more concentrated the throw or spread of the light, the more powerful the light will be in seeing ahead of you. This same principle goes to the rear light too, however, with rear lights, it is more of a concern just to be seen and not so much the throw. As an example, a cycling light used for night mountain biking will most likely be more powerful than a light used for a nighttime commute because a mountain biker will need a more powerful throw so that they can see the trail farther ahead of them. For cyclists looking for a good light for a daily commute, I recommend a light with a minimum lumen count of 600 lumens. Price is a major selling point and consideration when looking for a light. The old adage of price isn't everything holds up here. There are many lights available online that are great lights for about 2 weeks. A huge problem with the lighting industry is that many companies measure lumens right after turning on the flashlight. During this time, the light peaks in brightness and then evens out with the light dulling over the course of use because of power use. Simply put, you get what you pay for and with many of the cheaper light brands you get what you pay for and have to keep on paying for over and over and over again each time your light quits on you. As with all bike products, cyclists are slaves to the features. Features of modern lights that I would qualify as worth the purchase are lights that incorporate LED lights and rechargeable batteries. This combination will ensure that your light works light a lightsaber and don't die out on you in the middle of your ride or commute. Something else that I have found to be very handy is the availability of mounting options. Most lights come with silicon mounting options but some lights are compatible with more secure mounts that often incorporate Go-Pro mounting options. Other options to consider are lights that have a battery indicator as well as a rating for when your light comes in contact with moisture. Many modern light companies also offer great warranties with their product so make sure to do some research before jumping right into a relationship with a light. Now for the hardest part, choosing which brands are the best. At Noble, we stand behind all the brands that we bring into the store and offer online. A brand whose lights set the industry standard is Light and Motion. Light and Motion offer lights that are made in the USA and have amazing brightness and throw. Many of their lights are available in combo packs with a rear light and a front light included in the pack. Many of their lights are also water resistant so be sure to check out all of their lights. Using Light and Motion will ensure that you can both see and be seen. Another great brand of lights that offer great throw and visibility are Trek lights. 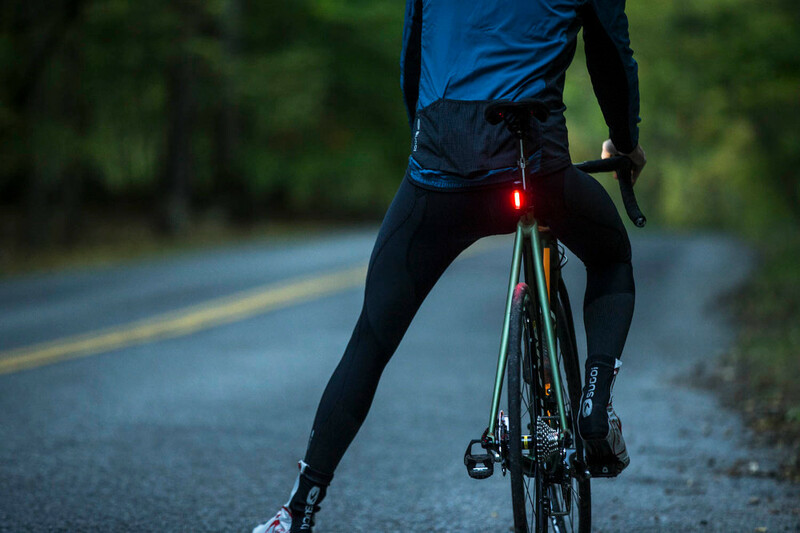 Trek offers a wide variety of lights to see or simply be seen. Long story short, I still have an active imagination but with the appropriate lighting solutions, others on the road can see me and I can see everything in the road ahead of me. Cycling is a lot of fun but it is a lot more fun when you aren't getting run off the road because passing drivers can't see you. Ride often and ride safely.